Address: 8600 Siofok, Erkel Ferenc u. 49. Wellness Hotel Residence in Siofok is one of the most beautiful and newest hotels of the southern shore of Lake Balaton. 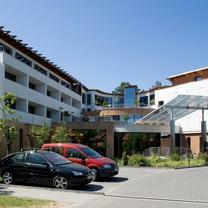 It is located in the residential area 150 m from Lake Balaton.